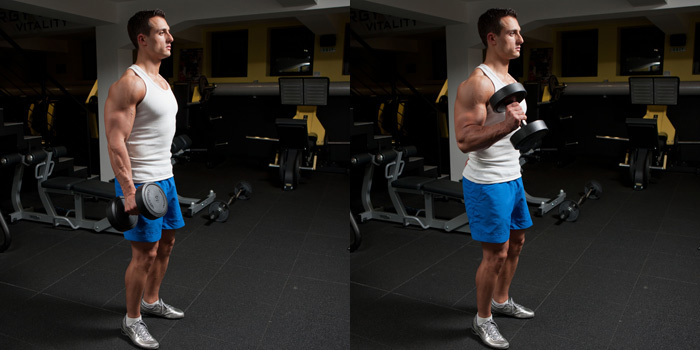 Grasp a dumbbell and stand upright with your hand to side and palm facing your body. Position your feet about 15-20cm. apart and keep your knees slightly flexed for a better stability during the movement. This will be your starting position.